UO physics professor John Toner is on a roll. He’s won a research fellowship that will take him to Germany in the 2019-20 academic year, and a paper he published two decades ago has landed in a journal’s 25th anniversary collection. Toner will spend up to seven months in residence at the Max Planck Institute for the Physics of Complex Systems in Dresden, Germany, as a result of his selection as the 2018 Martin Gutzwiller Fellow. Toner, coincidentally, is no stranger to the fellowship’s namesake. Gutzwiller, who died in 2014, was a Swiss-American physicist, known for his work on field theory, quantum chaos and complex systems. “I knew Martin personally. In fact, he was my manager at the Thomas J. Watson Research Center at IBM Research, where he spent most of his career, and where I spent 12 years before coming to the University of Oregon in 1995,” said Toner, who is a fellow of the American Physical Society. 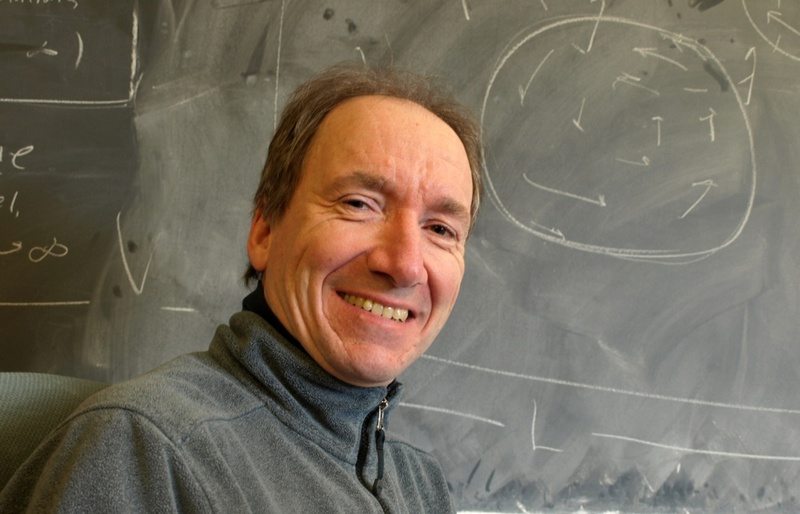 At the institute in Dresden, where Toner has participated for shorter periods doing research, he will investigate how large collections of self-propelled entities behave. HIs work helps to explain systems as diverse as animals, birds, bacteria, molecular motors in cells, cancer cells, fish and even tiny plastic rods on a vibrating table move as a swarm or flock in the same direction. “Molecular motors are essential to many processes associated with life, including cell division,” he said. “Since cancer is uncontrolled cell division, one of the many potential applications of this research is to cancer treatment. He is an internationally recognized expert in the various forms of flocking behavior. Part of his work in the field is now being singled out by the editors of Physical Review E during the monthly journal’s 25th anniversary year. Toner’s October 1998 paper “Flocks, herds, and schools: A quantitative theory of flocking” is among the journal’s anniversary milestones. The journal, which is the leading journal in its field worldwide, has chosen one paper for each year of its existence, from 1993 through 2017. The journal publishes research on quantum and classical chaos and the collective behavior of large numbers of interacting particles in systems ranging from semiconductors to soap-water mixtures to living cells.